Yesterday, a 24-hour countdown was posted online, teasing a CS:GO-related announcement aimed at the Chinese market. That countdown led to a presentation that has now happened, and which contained some exciting news. Dispense some more lead-lined justice in the best shooters on PC. 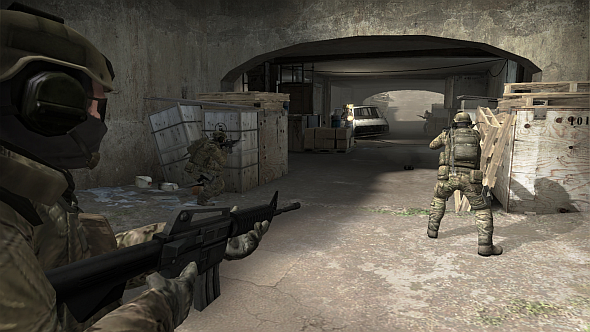 First up: CS:GO’s next operation is scheduled for ‘this summer’. We don’t know much more than that in an official capacity, but a dataminer may have dug out the maps last month (treat with caution, of course). CS:GO’s most recent op was Wildfire, which wrapped up in July last year, so we’re well overdue for another. 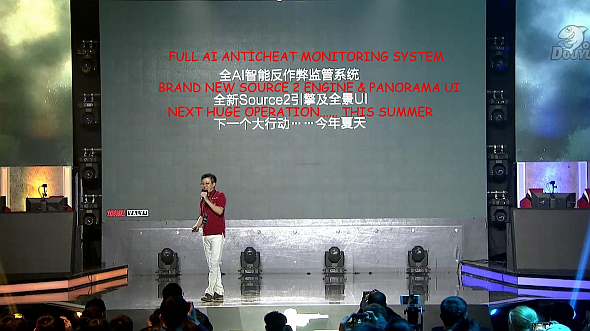 One slide is translated as saying ‘brand new Source 2 engine and Panorama UI’, indicating that CS:GO will finally be moved to the Source 2 engine. Panorama is Valve’s name for their panel-based UI framework, which is now used in Dota 2, so a UI overhaul is also incoming. And, just as exciting, the presentation reconfirmed that Valve is working on identifying cheaters through machine learning. We first heard of thisback in February, whenValve respondedto a Reddit post asking why they didn’t use hard-coded techniques to punish hackers, such as spin-botters. Valve’s response pointed out that hard-coding a solution just “leads to an arms race with cheat developers – if they can find the edges of the heuristic you’re using to detect the cheat, the problem comes back. Instead, you’d want to take a machine learning approach, training (and continuously retraining) a classifier that can detect the differences between cheaters and normal/highly-skilled players.” They said then that they’ve started this work, and with this announcement, we can presumably expect to see it rolled out soon. We say this because the presentation and the newwebsiteannounced a closed beta for an official Chinese launch of CS:GO, with local servers, for April 18. We can’t be certain that the Source 2 and anti-hacking updates will launch alongside that, but they won’t be far behind if they’ve been announced at the same time. And on that note, we’ve got a confession. We reported yesterday that the teaser site was counting down to the actual Chinese launch of CS:GO, when in fact it was only counting down to the presentation that announced the launch. Sorry about that. Helpfully, Redditor maxloo2 translated a bunch of screencaps from the presentation and uploaded them to Imgur for you to take a look through. Here’s the accompanying thread, where you can find more discussion of the coming changes to CS:GO.